My first attempt at homemade mac n cheese. The cottage cheese was a little off putting when I mixed it in but definitely added to the creaminess. I sprinkled a few crumbled croutons on top to add a little crunch. Cook 12 oz pasta in lightly salted rumbling boiling water. Drain. Melt butter and add onion, cook until clear, add flour and pepper, stir everything together and add the cup of milk. Stir until mixture is boiling and thickened. Remove from heat and stir in both cheeses. Add drained pasta and mix well. 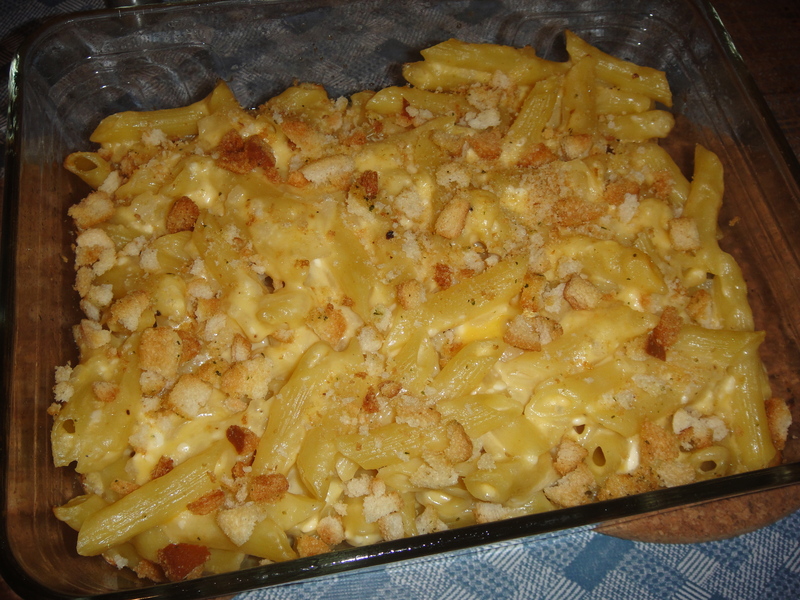 Add mixture to well buttered dish and sprinkle top with cheddar, romano or parmesan cheese or if you have a favorite topping. Cover and bake @ 350 for 25 – 30 min. Remove the cover the last 10 minutes if you would like a firm top. Did you notice that this is “take 2” for this restaurant? Did you also notice that I said this restaurant was mentioned THREE times on the sweet tooth episode of The Best Thing I Ever Ate?? I only covered two of them in my last entry because the last item was on the brunch menu. Yes folks, we went to Michael’s Genuine for a late night dinner and dessert on Saturday night then went back again for brunch on Sunday morning. Needless to say, the two hosts recognized me when I walked in. It was only slightly embarrassing. 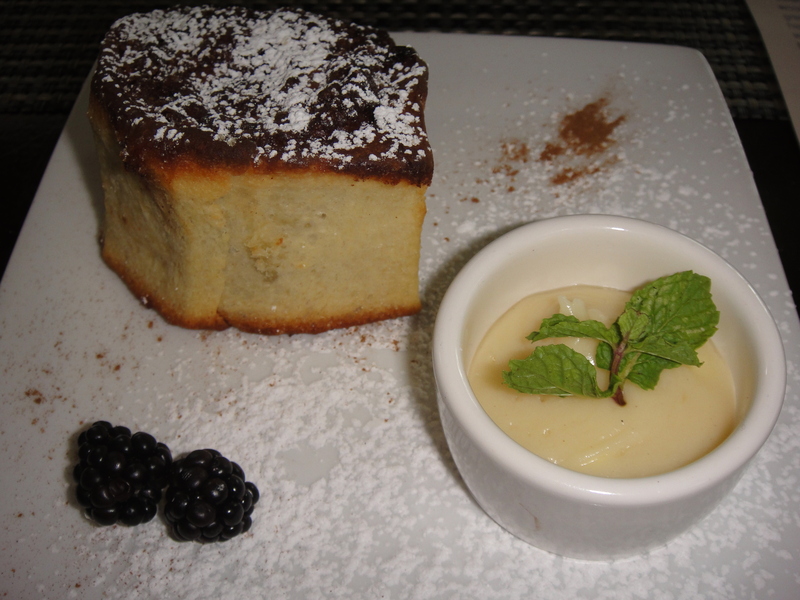 The brunch menu here was superb and separated into two main subjects: savory and sweet. 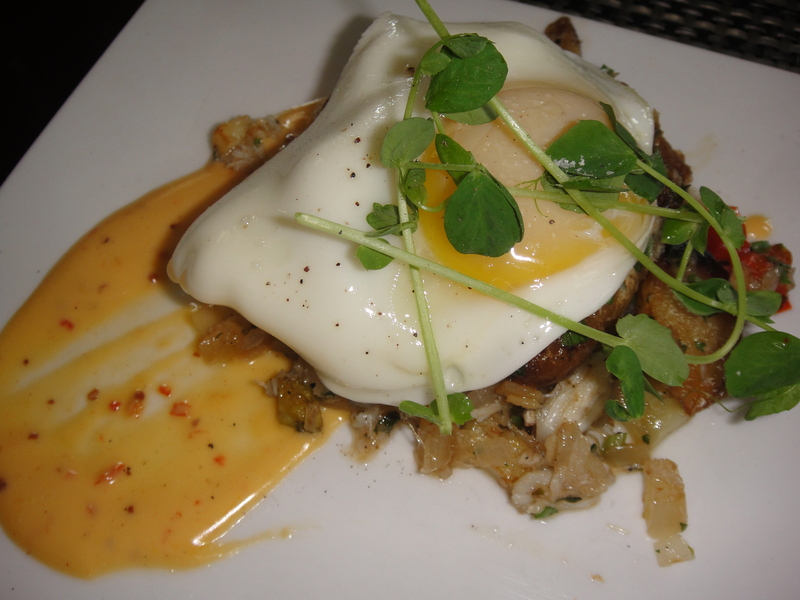 We wanted to try items off both parts of the menu and the blue crab hash was one of the first things we ordered. I love myself some good, fresh crab and this did not disappoint. Breakfast pizza with house smoked bacon, egg, monterey jack and onions. It was just enough breakfast topped on a pizza for me. 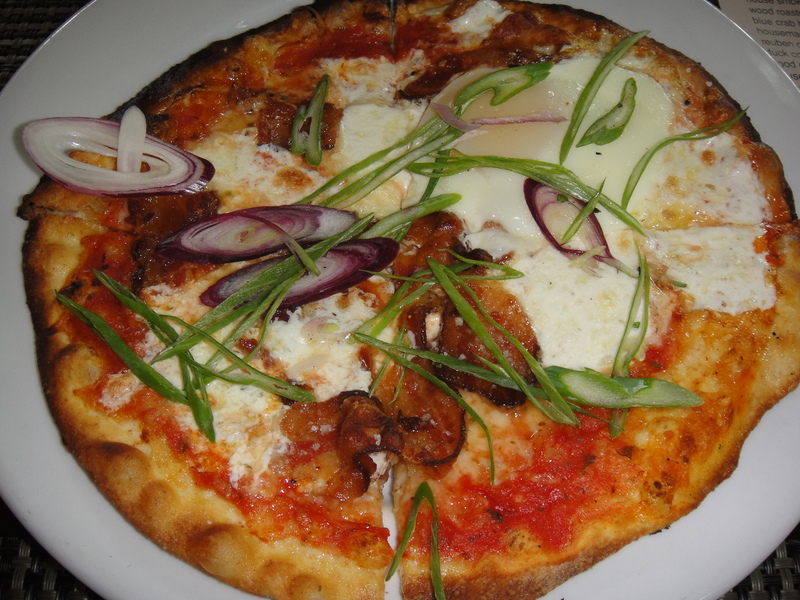 Wood oven pizzas are the best!! 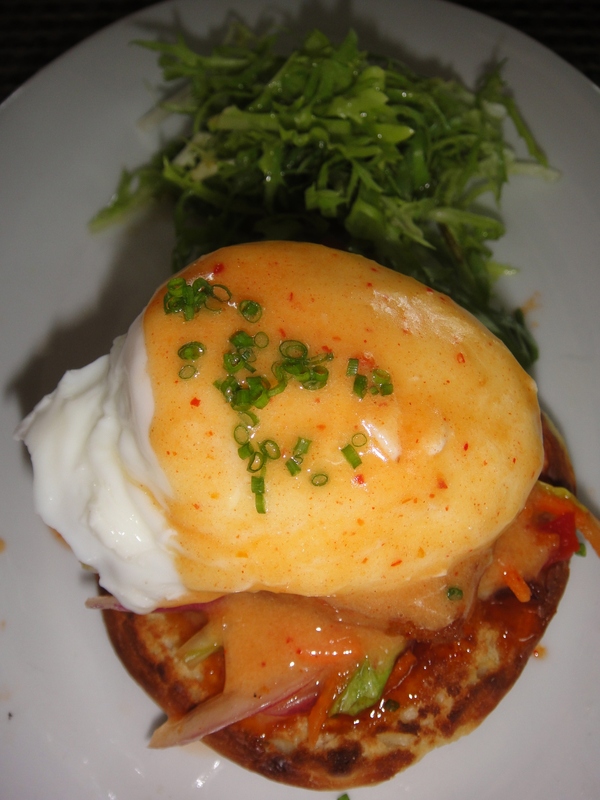 Kimchee benedict which was a toasted crumpet, crispy pork belly, kimchee with a kimchee hollandaise all with a poached egg on top. The pork belly was crispy on the outside but somehow just melted on the inside. We also ordered the wood oven roasted chicken salad sandwich. This was actually quite teeny even though the picture makes it look like a decent size. It was a great finger snack and not too heavy on the mayo. 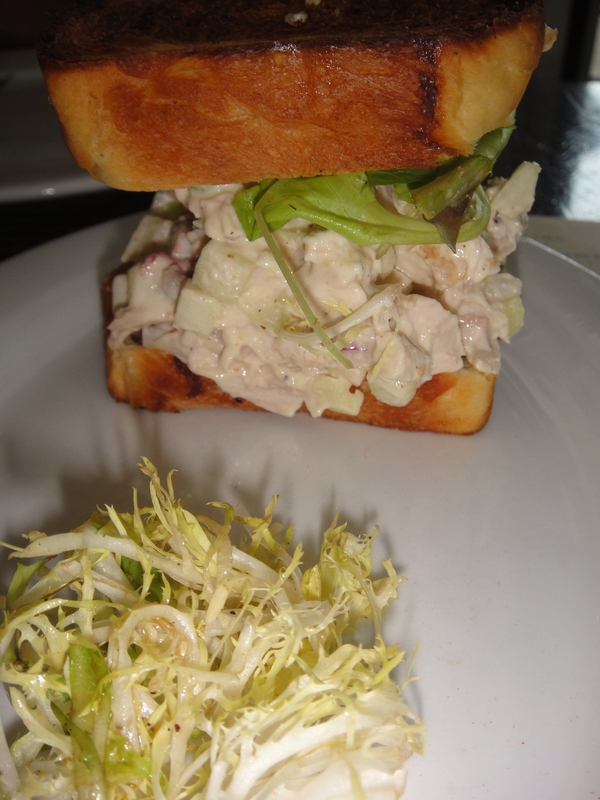 I love chicken salad sandwiches, I just wish this one were bigger! 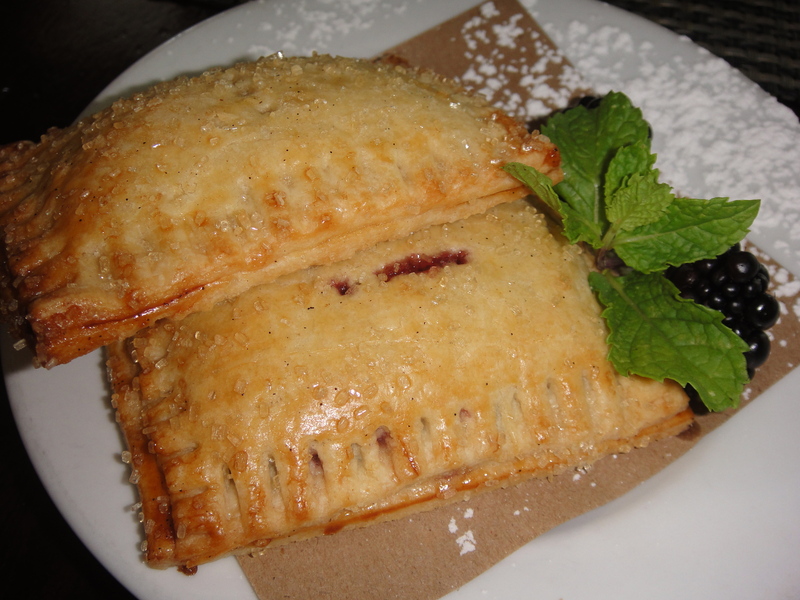 Frank Bruni (former NY Times restaurant critic) recommended and swore by the homemade pop tarts at Michael’s Genuine. Don’t they look waaaaay better than the Kellogg’s ones you buy at the store?!? They are made with whatever fresh, local fruit is in season. Our two flavors were passion fruit and blackberry. I thought I’d like the passion fruit more but I loved the blackberry one! While we were eating our savory dishes, practically every table got served these pop tarts so I was worried they would run out. There was no way TM would let the cinnamon roll get passed up. He is a diehard cinnamon lover and considering everything else we had ordered was spectacular, he needed to try this out for himself! It was definitely good but it was also definitely not a homemade pop tart. I love this place and would definitely NEED to go back the next time I’m in Miami. Michael’s Genuine is a NEED, not a WANT. Please go there. Now. You are currently browsing the For the Love of Food weblog archives for November 2010.